There are a host of ways to manage depreciation and fixed assets. All too often when we are looking at established businesses we find that their asset register (the list of the assets and how much they have already been depreciated) is woefully out of date, and often contains items that no longer exist (sold or thrown away) or which may still have a 'real' value even if they have been fully depreciated in the books. So, how do (or should) you control information about your fixed assets? Items physically present and being depreciated. Items that are present but are fully depreciated. Have any assets been purchased buy the business? Have any assets been thrown away, damaged beyond economic repair or sold. When a new item is purchased, decide on the appropriate depreciation policy for the item (your accountant can advise you on this - there is a lot of choice) and put a summary of the item, the policy chosen, the starting book value and the original invoice(s) into the folder. You will probably also put a record in your accounting system. If your system gives an asset number then make sure it is written on all the appropriate pieces of paper. When an item is fully depreciated, move it between sections in the folder. When an item is disposed of (thrown away, damaged or sold) there may be an accounting impact depending on the value obtained for the asset (if any) and the depreciated value. This gives rise to a 'profit or loss on disposal of asset' line in your accounts. Having a good explanation for these items you have disposed of is essential to a) make sure that your accountant can prepare accurate statutory accounts and b) demonstrate competence & an audit trail in the event of a tax investigation. Where there is a sales invoice for the item make sure a copy is included in the pack. At the end of the financial year, produce your summary of losses and gains and put all your fixed asset disposal records with the rest of your financial records (you will need to keep them safe for 7 years). If you are attempting to create a paperless office - the above can be accomplished with scans of invoices (purchase & sale) and the use of tags and/or folders to represent the sections of the lever arch file. Write down the bad stuff that happened 3 to 6 months ago. You can try this with your management teams as well. If you are like the vast majority of the population you will have found it easier to think of the problems and bad stuff than to recall the progress you have made and the good stuff. In life and business it is all too easy to lose sight of the progress you are making, particularly the small incremental changes. A success board is one way in which you can raise positivitity, recognise progress and capture achievements - small, medium and large. In business the success board needs to be BIG, highly visible and accessible to everyone - a huge whiteboard on the wall of the office is ideal. A personal success board can be kept on the wall of the bathroom (ideally close to where you shave/put on makeup) or taped to the inside cover of your daybook - you want to see it often. There are four clear stages in creating and maintaining a success board. Your success board will be landscape with a line down the middle. If you are using a whiteboard investing in gridding tape to separate the halves is very worthwhile - though a permanent maker and a ruler will work as well and means that you can implement this today! Gather you team round, make sure you have lots of different coloured pens (wipeable if you are using a whiteboard). Give the team 10 minutes to put as many successes, achievements and progress items as they can recall that have happened in the past 6 months or so on the Left Hand Side of the board only, leaving the right hand side blank. Implementing a better way of doing something. A clean customer, supplier or external audit. Being shortlisted for an award. In any week there will have been things that have gone well. If they are not obvious your challenge as a leader is to find something (however small). They don't have to be about clients or profit - One of my businesses recently was hit by ransomware. The backup regime was tested in anger and worked as it should, recovering all of our encrypted data - a massive success for that business. The success board (if big enough) should last about 6 months - though at the end you might be using thinner pens and struggling to find corners and gaps to write in. At six months or when it is totally full gather the team and review your achievements for the period 6 to 12 months ago - agree the top 5 that you collectively think have made the biggest positive contribution to the business. Take a photo of the success board for posterity. Wipe the 'old' half of the board - leaving the achievements and successes for the past six months clearly visible. Start filling in the blank half with the live successes as they happen. This works because it is visible, it reminds people of small and large successes and this creates a feedback loop - you can't write a success on the board without reading, and being reminded of, other successes. Agree the priorities for the business in light of the resources available. For a SME with a management team approx 25% of the Board’s meeting time should be on ‘are we on track’, 15% (ish) on ‘are our policies suitable and effective (including used in practice)’ with the balance on discussion of issues, opportunities and challenges in the day to day business and looking to the future (e.g. which bits of the business will need to behave differently to thrive in the future that the Board envisages). Backing papers for anything that requires further explanation. Part of the responsibility of the Author is to accurately distil the minutia of detail, the ‘data’, that they will be aware of/receive from subordinates into information that informs Board understanding and debate. What is in the narrative of (monthly) Board Reports? how well we are performing against plan. For larger businesses the department bits of the CEO report, might highlight particular elements of the respective department report or, more likely, have a ‘CEO precis’ of the departments activity/performance. a mix of forward and backward-looking indicators. If you are seeking investment this is worth a read (or listen as it is available on Audible). 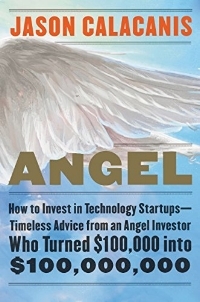 In the book Jason (who has had a couple of spectacular successes) describes what it takes to be an Angel Investor and, most importantly for companies seeking investment, what he and other investors typically look for in a business. There are numerous stories on his experiences. The book also addresses a subject dear to my own heart, Monthly Summaries and how they are vital to keeping investors aligned and on board. Jason has given a number of interviews including in September 2017 a 'Talk With Google' which can be found on YouTube. What was good that we need to keep doing? What did we do sometimes that we need to do more often? What didn't we do that we should have done? The questions apply equally to when you win tenders as well as when you lose them. To sales meetings with clients. To important meetings with staff. For end of project reviews, take the lessons learnt and make sure they are in your project kick-off checklist for next time. You do do keep checklists don't you? So claimed an article in Forbes in 2013. Almost 5 years on has anything changed? The article is based on a book by Columbia Business School professor Rita Gunther McGrath which argues that the premise that corporates could find a source of competitive advantage and milk it over a period of time is now dead. The pace of change is such that no advantage is likely to last for more than a year or two at most. Success is likely to come to businesses that are nimble, flexible, disciplined and focussed and who have the capacity to learn and adapt. 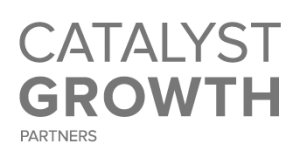 Characteristics often found in Start-up and Scale-up businesses and in the people who flourish working in those environments. The challenge comes, of course, once the business is profitably generating cash and everyone 'takes their foot off the gas'. What are the things that you need to build into the very soul of your business now so that innovation, awareness and flexibility form part its core being as it grows up - therby embedding the new source of competitive advantage? Keep it simple, pen and paper is the way to go first. do it now rather than wait to learn software etc. Both of these are internal characteristics - about you and your company - they should be characteristic, distinct that are significant to the degree that the provide a competitive advantage or disadvantage - if they don't do either (the yeh... whatever... stuff) then don't write them down. Both of these are external characteristics of the market or the environment in which you work. Again they need to be capable of exerting significant influence/impact on your business to be worth writing down. THIS IS WHERE IT TURNS FROM A THOUGHT EXERCISE TO SOMETHING USEFUL!!! box 5 - the zone of riches - the intersection between your strengths and the opportunities. box 9 - the hazard zone - where you are weak and there is an external threat. If the same sort of idea emerges from more than one zone then that may be significant. When you finish you need to produce a defined action plan for dealing with what you have identified. Operating on the premise that there is always more stuff to do than time to do it be very selective in what you choose, put the rest on a 'do later list'. For the 1, 2 or 3 projects you have identified what is the single next action (clue it starts with a verb) that you have to do to get started? Now explain the 8 box swot you have just done to your wife, brother, parent, best friend - find someone. Tell them what your strengths are, where the opportunities exist (note I haven’t mentioned weaknesses or threats) and the three things from the zones that need action NOW. Most importantly tell these people your plans to capitalise upon the contents of the zones and what your first action will be! Do that first action in the next 5 days! COACH: Ensure the entire company is made up of a series of teams who are the players who actually sell make, deliver, and service the product. Set meaningful goals... Pick Initiatives to drive Revenue and Productivity. These initiatives are what make the goals possible. Organise yourself and others to do the job. Determine what resources are needed. Explore, develop, test and implement new concepts, products, services, designs. Continually improve internal systems to reduce cost and errors and increase customer satisfaction. Internally: Serve as a Role Model (it’s happening anyway so be conscious of what you portray). INVESTOR/FINANCE: Manage the Balance Sheet – grow the long term value of the business. *Adapted from work by Larry King and Kraig Kramers. So, what is your balance? Go ahead, write the six roles down and estimate, over the last week or two, where you spent your time. Most people get this wildly wrong, and not by a small amount either. The best way to improve anything is with data. We have prepared a simple grid to help you to capture where you are spending your time and which of the roles you are doing at the time. (We added a 7th 'faffing' as all of us spend some time each day in that area). Each day start a new sheet. As often as possible throughout the day capture what you were doing in 15 minute chunks. If a meeting is 50% strategy and 50% coach then mark it as such - for a first pass aim for 90% accuracy. At the end of the day total the time in each section. At the end of the week/fortnight decide on your balance. What is it that you need to do more of? What is it that you should do less of? In a few months time repeat the exercise - were you successful? What should your new balance be? 3. Fold the paper up and put it somewhere safe. Very quickly you will see patterns emerging. People who fall below expectations (unless there is an isolated and understandable blip) WILL kill your business It may take a while but Owners and Managers that tolerate people who are either unwilling or unable to serve the business reliably and consistently will destroy value, cause customers to leave, and drive your best people away! If the fit is wrong then, with care and compassion, find out why and deal with it! This should only take an hour or so a month and is something that we consider to be essential, both to the success of the business in the long term and to keeping investors informed (even if you own 100% of a company you still have an ‘investment hat’). The discipline and process of producing a monthly summary forces reflection and planning and puts the brain ‘in a different place’ – something that can be hard do to when you are knee deep in the muck and bullets of the ‘real’ world. There is no ‘one size fits all’ template for monthly summaries; what follows is a format that I use myself. They work best if there is peer pressure and a bit of ‘stick’ as, all too frequently, summaries get put in the ‘important but not urgent’ box in the Eisenhower grid and are missed/forgotten/skipped. If you have a mentor or are part of one of the many incubators that banks or others are creating you should pair up with someone and hold each other to account if a summary isn’t produced on time. With one of our mentoring clients the ‘stick’ is a cheque for a charity of my choice if the summary isn’t delivered by the 7th of the following month! So far I haven’t had to demand that cheque. An underlying question while preparing Monthly Summaries (particularly for issues and opportunities) is “What has happened in the last 30 days to influence our view of the future?”. Monthly summaries and KPI sheets are an iterative process – if something doesn’t work, change it. If an indicator is no longer driving the business, then don’t waste money collecting it – use the resource to collect something that does drive future performance.